Thank you for visiting Bar Harbor Coastal Cab's little home out here on the internet. 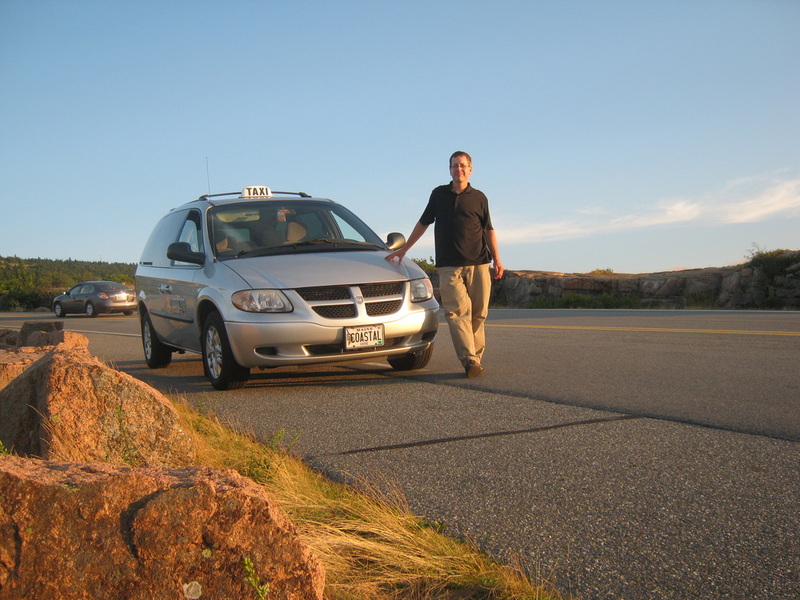 I started Bar Harbor Coastal Cab's Tour service to give folks an alternative to the "Big Bus Tours." My goal has been, and still is after seven wonderful seasons, to provide visitors with a Private Narrated Tour experience filled with fun island facts, history and local information. A unique Acadia National Park Tour away from crowds as much as possible. Clean and comfortable vehicles, an absolute must! Helping to meet the transportation needs of visitors coming and going from local Maine airports and bus terminals, to Bar Harbor, Acadia National Park and nearby coastal destinations, is the other part of Bar Harbor Coastal Cab to which I am fully committed. It is my pleasure to provide safe, dependable, clean, comfortable taxi service for visitors coming and going to the airports, bus stations or docks. Thank you for considering Bar Harbor Coastal Cab & Tours as you make your plans to visit Maine. Please call anytime if you have any questions. You can call me at (207) 288-1222. I really look forward to showing you our island. The photos you see on this website were taken on my escapades around the island. I hope you like them!